There has been a lot of news about Red Hot Roasters coffee shop lately, what with their impending move of the roastery to the Butcher Block development on Main St., so they can enlarge their wholesaling business, as well as join the other food purveyors there, such as Hi-Five Donuts and Pho Ba Luu. Now, owner Sondra Powell has announced that she and her business partner brother will move their trademark drive-thru window across the street to 1399 Lexington Road, into a renovated Old Standard Auto Garage. The new location will offer a pick-up counter, outdoor seating and bike racks. The company needed larger space, but the Powells were reluctant to leave the Irish Hill neighborhood where they started their business. 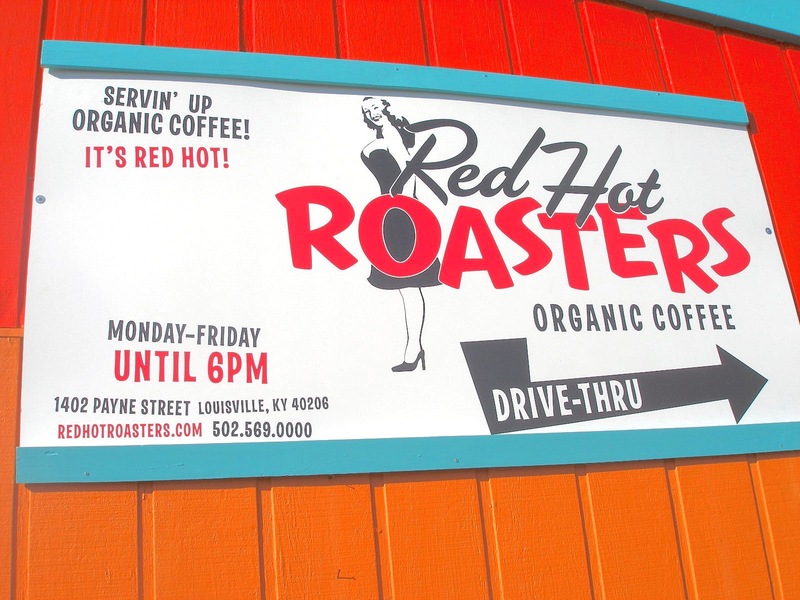 The new location will allow Red Hot Roasters to keep its drive-thru service, add a pick-up counter, outdoor seating, bike racks and an expanded summer drink menu, Powell said in a press release. Powell will continue to roast her coffee in the the Dedrich IR-3 roaster that she has been using since she opened.